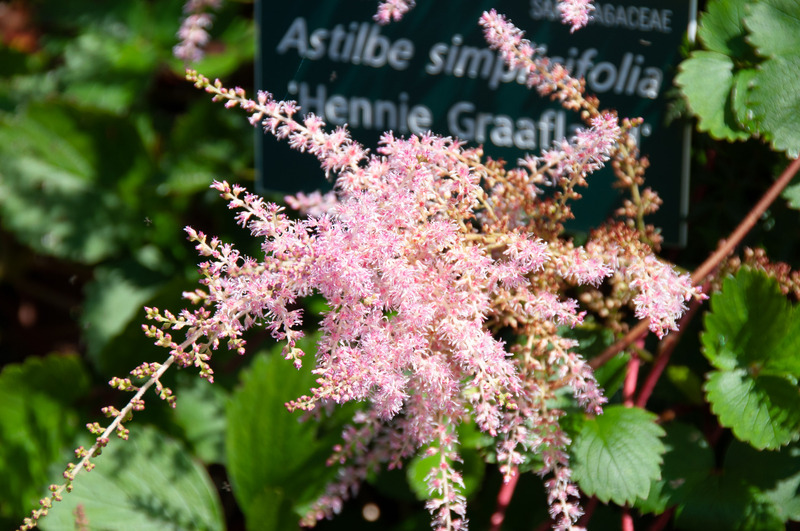 This popular cultivar of false spirea has dark glossy bronze-green leaves and pale, rose-pink flowers. It grows to about 16" (40 cm) high. 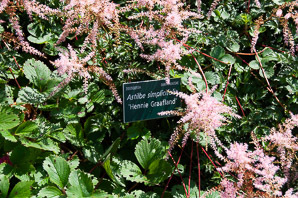 There is a lot of documentation of this plant on the web, but I couldn’t figure out who Hennie Graafland is. 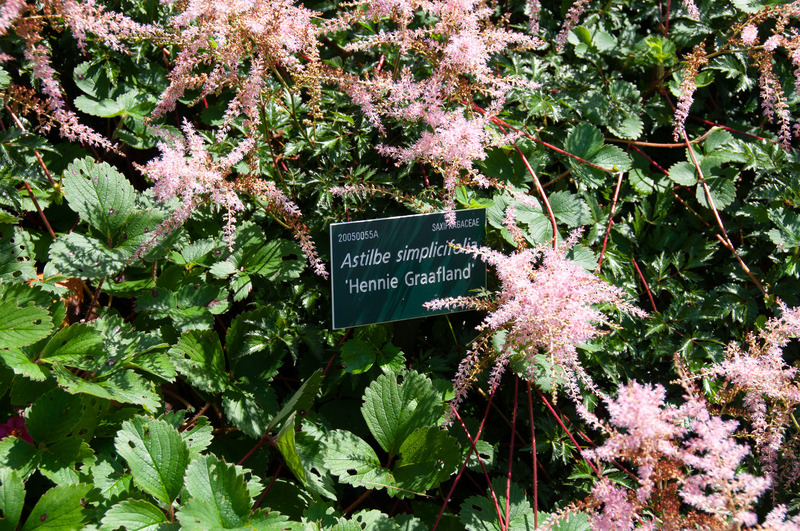 Assuming, of course, that Hennie Graafland is a person. Astilbe simplicifolia ‘Hennie Graafland’ description by Thomas H. Kent, last updated 12 Oct 2018.